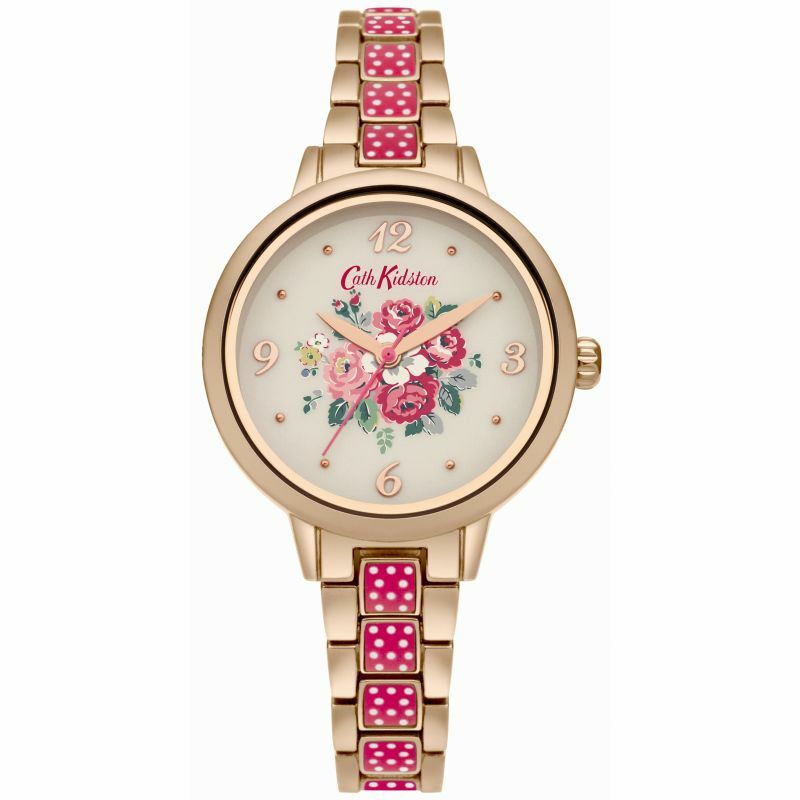 Cath Kidston Forest Bunch Red Spot Bracelet CKL008PRGM is a beautiful and interesting Ladies watch. Case material is Rose Gold Plated while the dial colour is MultiColour. This model has got 30 metres water resistancy – it can be worn in scenarios where it is likely to be splashed but not immersed in water. It can be worn while washing your hands and will be fine in rain. We ship it with an original box and a guarantee from the manufacturer.